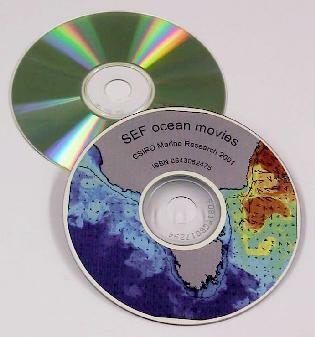 The OceanCurrent part of the IMOS website and the processing systems that update the graphics content have been developed over the years by Dr David Griffin and his colleagues at the CSIRO Division of Marine and Atmospheric Research, as part of a sequence of projects. Initial work on algorithms for deriving geostrophic currents from multi-mission altimetry and tidegauges was performed with support from the Fisheries Research and Development Corporation in collaboration with John Wilkin. Real-time implementation of geostrophic current estimation was led by Scott Condie and Madeleine Cahill with support from the Australian Maritime Safety Authority. Methods for processing AVHRR data and producing and visualising high-resolution composite SST images were initially developed by Paul Tildesley, Chris Rathbone, Kim Badcock and John Parslow. The CSIRO method for precise geo-location of SST imagery was developed by Steve Clift. The process for merging AVHRR data received from several groundstations was developed by Edward King at the CSIRO Earth Observation Centre. 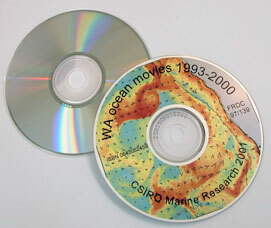 The Australian National Marine Data Group of the National Oceans Office supported CSIRO to put the then 10-year long archive of Australasian SST imagery in the public domain through the 'Ten Years of SST' project (the data set is now, in 2011, nearly 20 years long and available through EMII). The SST imagery added to the website shifted in late 2011 from using the products of the CSIRO Hobart system, to those generated by George Paltoglou and Helen Beggs at the Bureau of Meteorology as a contribution to the Satellite Remote Sensing Facility led by Edward King. The CSIRO-BoM-RAN Bluelink project supported the further development of the site from 2002 to 2006, during which period Ken Ridgway and Jeff Dunn developed the 'synTS' method for estimating subsurface temperature from the joint use of altimetry and SST imagery. Madeleine Cahill and Jim Mansbridge maintained and improved the altimetry processing, while Ken Suber and Peter Turner assisted with the production of kml files so the imagery could be viewed using Google Earth. We are especially grateful to those agencies and individuals who provide the source data , without which this service would not be possible.